I have seen many Weeping willow trees and indeed some may be old, many I think reflect the rigors of living. They have been tested bent, twisted and broken by nature. 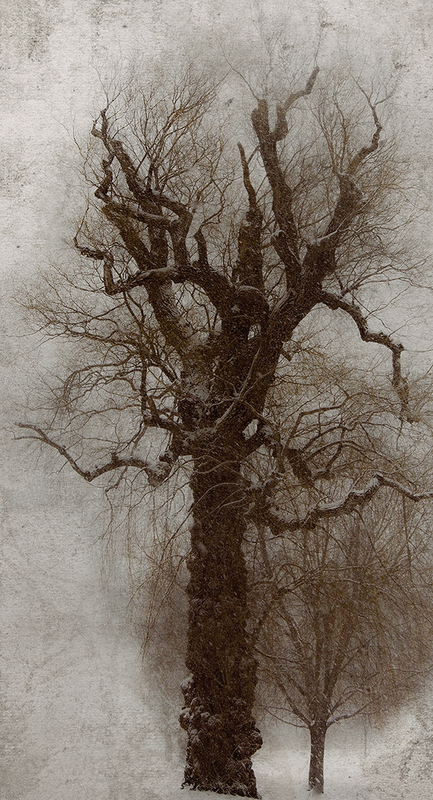 The wind, freeze and thaw each leaves a memory, a broken branch, a cracked trunk and ultimately destruction. This tree stands by itself, alone and out of the way, crow call from the upper reaches and snow lays a soft glow over it. This tree reminds us of the importance of prevailing, enduring and most importantly surviving.